Today, we will wear pink! The day has arrived – it’s wear it pink 2018! Thank you so much to the 17,907 people that have signed up to take part in wear it pink, we’re so grateful to have you join us! It’s not too late to take part if you’d still like. Just fill out this simple registration form to join us! We’ve put together some last-minute essential fundraising packs – they’re a bit smaller than the regular packs but still have all the essential items you’ll need to throw an amazing wear it pink fundraising day. Here’s a little more information on how you can take part in wear it pink 2018. 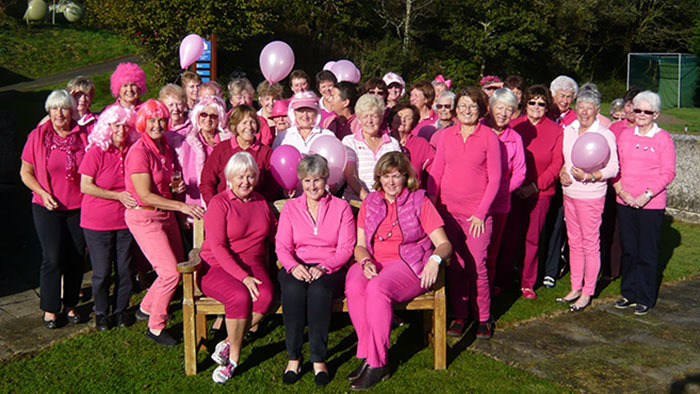 Breast Cancer Now’s wear it pink day is one of the biggest fundraising events in the UK. Taking place today during Breast Cancer Awareness Month, thousands of amazing people will wear it pink in their communities, schools or work places for the UK's largest breast cancer charity, Breast Cancer Now. However you like! The possibilities are endless… have a bake sale, play some games, host a fancy-dress competition – whatever you do, it’ll be fabulous! If you’re stuck for inspiration, head over to our fundraising ideas page! Why do we wear pink? Simple - to help make life saving research happen. Since our first event in 2002, together we've raised over £31.5 million for our life-saving research. Research that's working to discover how to prevent breast cancer, how to detect it earlier and how to treat it effectively at every stage so we can stop the disease taking lives. Thank you again for your amazing support! We can’t wait to hear all about your events and see your perfectly pink photos! Send them over to wearitpink@breastcancernow.org.